Friends, countrymen, foreigners, lend me your eyes for a moment. Today, you come to this post, on this website, on this internet, for a very important reason. We are here to mourn the passing of a longtime friend: Neverland. But let’s not be sorrowful on this occasion. Today, we celebrate the life of a company, one that brought us thousands of hours of entertainment. As I’m sure you’ve all heard, our beloved Neverland, the developer behind games like the Lufia series, Shining Force for PS2 and Wii, and the entire Rune Factory series, was taken from us in November. The announcement of bankruptcy was sudden, and the ending swift, catching all of us off-guard. But we must remember how Neverland went: working on beloved projects to the best of its ability. There is no clearer reminder of that than with its last project, Rune Factory 4. Okay, I do really feel for Neverland and the fans of that company. But, while I will keep this theme of a eulogy during the review, it would be unfair to you not to mention faults in Rune Factory 4. These scene-breaking comments will be done in italics to differentiate from the rest of the article. 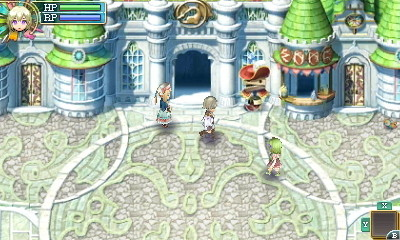 Rune Factory 4 is the sixth game in the Harvest Moon spin-off series and the fourth to appear on a handheld device. While all numerical iterations held the subtitle A Fantasy Harvest Moon, this is the first to do away with it, breaking away from its predecessors. It is a wonderful tale of a protagonist filling in as a Prince of a town in return for housing from the Divine Dragon Ventuswill. From the moment you come crashing down on her head, you work your way into her heart, as well as the hearts of those in town, by performing tasks around town and the surrounding areas to bring in tourists, as well as securing the safety of the citizens by defeating monsters in various dungeons (complete with bosses). And when evil rained down on them from the Sechs Empire, the Prince valiantly jumped into action. Too bad the story was clichéd in the end. 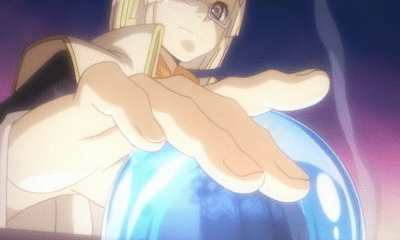 Rather than keeping with the potentially interesting storyline of the main character’s amnesia, they deviated quickly with only a couple scenes at the very beginning keeping to the original plot. Instead, the main character is content with the “new memories” (their words, not mine) that were made since arriving. I would’ve found it interesting if we found out that the main character was actually an agent of the Sechs Empire and the bumbling soldiers in the opening being soldiers of the Kingdom of Norad? Or, since he seemed like he could’ve been evil, why not make Arthur the main antagonist? These things would’ve been a lot more interesting than what we got. Seriously, the way they introduced him, he seems like he could’ve been evil. And as you ran around working to help the village, you were greeted by the sweet sounds of the soundtrack. 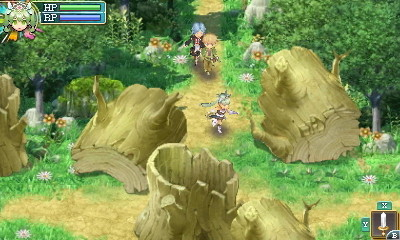 The music of Rune Factory 4 danced in your head as you felt invigorated to farm and fight. But while the music is pretty good, you still run into the problem of repetitive songs as you play. This is a common problem with games like Rune Factory 4. However, after a while, you will be given the opportunity to change it up via Orders in order to hear the scores of the previous Rune Factory games. Each one cost 50 Points each time to switch, but by that time you should have no trouble getting those points. Remember, you get points from shipping items, killing monsters, completing quests, and even simple conversations with villagers. The land was beautifully designed from the places around town to the land around to the various dungeons in the game. On top of that, each section is meticulously crafted so that each place looks different. But while it is an upgrade visually over previous handheld iterations, the game is still lacking in the visual department. However, the frame rate is incredibly smooth with no noticeable lag at any time I was playing. Also, this is one of those games where 3D is unnecessary. Turn it off and save your battery.